TVS Jupiter price in Pune starts from Rs. 54,701 (Ex-showroom). Jupiter is available in only 4 variant. TVS Jupiter ZX is priced at Rs. 57,749 and the top-end variant TVS Jupiter Classic Edition is priced at Rs. 61,566. TVS Jupiter's top competitors are Honda Activa 5G (price starting at Rs. 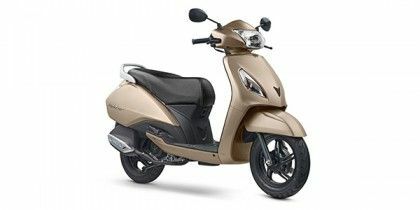 55,442 in Pune) and Honda Activa 125 (price starting at Rs. 61,499 in Pune). Q. Honda Activa 125, TVS Jupiter and Suzuki Access which one is best to buy? Q. Please furnish me the performance and price on road of Jupiter Classic. Q. Which is better between Activa 5g and Jupiter for service and mileage?